Book mail is (obviously) some of my most favorite mail to receive. When this book arrived, I immediately opened the package to find this super fun book. I put it on my TBR shelf, promising myself I'd get to it soon but I needed to continue to concentrate on finishing up my YA reads for the Eliot Rosewater committee (our state YA list). A few days later my son and I realized we needed a book to read together. We'd just finished one and had neglected to pick out a new one. Mom to the rescue! 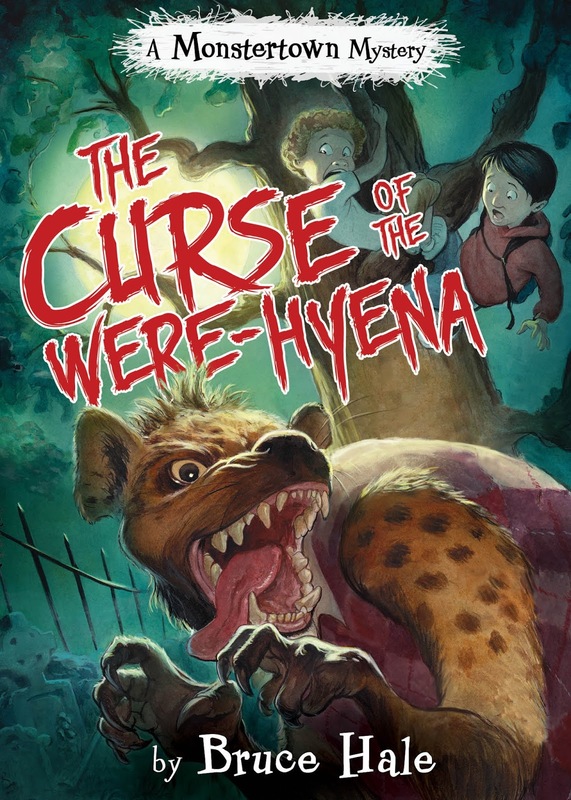 I grabbed The Curse of the Were-Hyena and began reading it to him as our nighttime story. After only a couple of pages, we were both hooked. Many giggles and gasps as we fell head first into the engaging story. The next morning he asked if he could take it to school to read. That's when I knew he was REALLY hooked! That afternoon/evening, I had to read to catch up with what he'd already read so we could continue to read together at bedtime. This proved to be a lot of fun as each day after school he'd remark about the book with comments like "You're not going to believe what happened!" and "I can't wait for you to get to the GOOD part!" We both thoroughly enjoyed reading the book, both together and separately. As the first in the Monstertown Mystery series, this book definitely did not disappoint! We both enjoyed the sneak peek of Mutant Mantis Lunch Ladies (Book 2) at the conclusion of the book. "We've GOT to get that one!" my son yelled. My son is in 5th grade which seems to be the intended interest level for this story. I see this being appreciated and enjoyed by 3rd - 7th graders. It's not really scary and has a lot of humor in it. It's also a goldmine for students/teachers needing simile and metaphor examples. 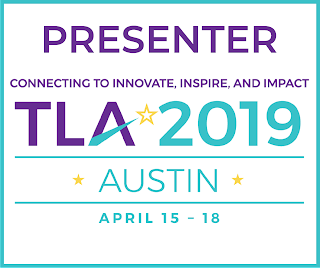 Two likable fourth graders--Carlos and Benny--are a little freaked out since their favorite teacher, Mr. Chu, has started acting strangely, like sniffing people's homework, laughing hysterically, and chasing chickens. When they decide to find out what's happening to him, they get caught up in some moonlight madness. And that's just the beginning . . . .
Kirkus review: "A series kickoff with a promising mix of chills and chortles." 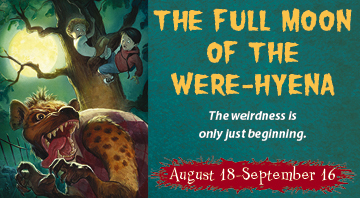 Ten winners will receive a copy of Bruce Hale’s The Curse of the Were-Hyena. Four Grand Prize winners will receive The Curse of the Were-Hyena plus an advance reading copy of the second book in the series, Mutant Mantis Lunch Ladies! And as a bonus, Grand Prize winners will also get a signed photo of Bruce Hale disguised as a were-wolf! One entry per person, please. Entries are due by September 30, 2016. Prizes can only be shipped to U.S. addresses. Thanks to Blue Slip Media for providing me with an ARC of this book & sponsoring the giveaway!